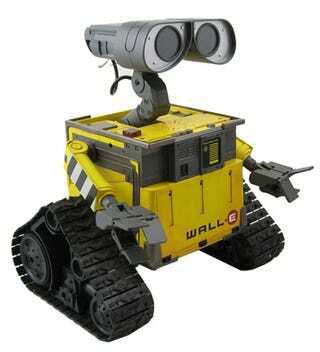 Disney is teaming up with Thinkway Toys to make Wall-E into a real robot. The toy, titled Ultimate Wall-E, will retail at a stonking $189.99 and will ship this summer. The robot will feature 10 motors for movement, remote control, programming mode and obstacle, sound and touch detection sensors for basic environment interactions.